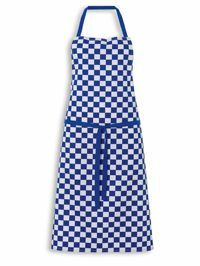 Bib apron in traditional chef big check design ideal for numerous kitchen roles. Durable, practical and distinctive. 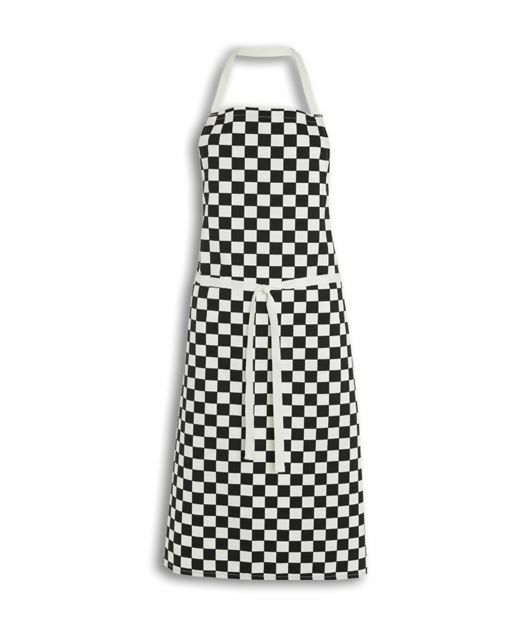 Long to protect clothing from the spills in the kitchen. Classic cotton fabric with Teflon coating in three colour check options.